Prime Minister Narendra Modi will address a public meeting in Wardha on Monday to campaign for the BJP-Shiv Sena alliance candidates in Vidarbha region. The meeting will begin at 11 am at Swavalambi ground here, BJP sources said. All the 10 candidates of the BJP-Sena alliance will be present at the meeting, they said. The candidates include Union ministers Nitin Gadkari (Nagpur) and Hansraj Ahir (Chandrapur), Krupal Tumane (Ramtek), Ramdas Tadas (Wardha), Ashok Nete (Gadchiroli), Bhavana Gawali (Yavatmal-Washim), Anand Adsul (Amravati), Sanjay Dhotre (Akola), Sunil Mendhe (Bhandara-Gondia) and Pratap Jadhao (Buldhana). Chief minister Devendra Fadnavis will also attend the meeting. 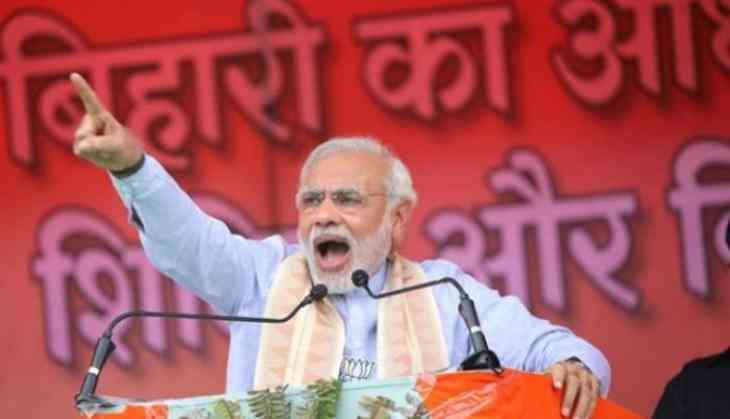 Modi is also scheduled to address another public meeting in Gondia on April 3. Seven constituencies in Vidarbha are going to polls on April 11 while the remaining three will have polling on April 18.